We are almost towards the end of our Chinese New Year holidays, and while going out of town for a holiday to a ski resort or to a beach would have been exciting and adventurous, I really enjoyed my holiday right here at home, in Hong Kong. 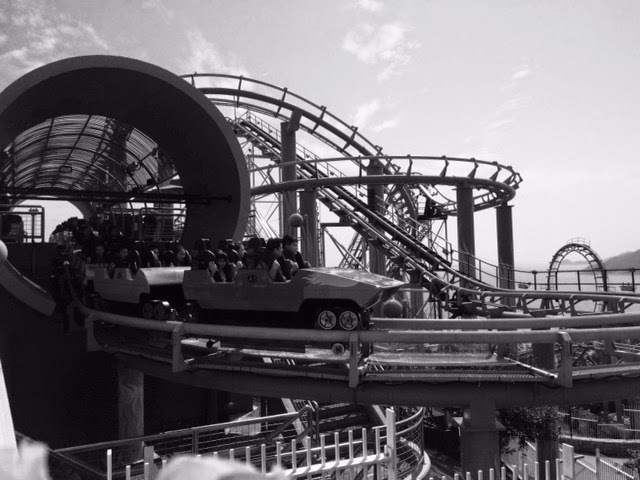 We started off with a ‘traditional’ visit to Ocean Park. ‘Traditional’ because up until a few years ago, no holiday would have been complete without a mandatory visit to this fun and educative theme park. It was like our second home when the boys were small. I can never forget those days of picking them up straight from school and taking a bus to Ocean Park, their small hands clutching onto their Ocean Park Annual passes that they so cherished! A small haversack containing their change of clothes, a packed lunch and some snacks and drinks was a staple. This time when we went after a long gap of 11 months and I was pleasantly surprised to know that I wasn’t the only one being nostalgic.“Mummy remember this pink train? We used to go round and round in it all the time”, “Mummy look I used to love running up and down these steps!” The best part was watching them get excited about meeting the minimum height requirements in some of the rides that they couldn’t do before. With them deciding the sequence of the rides and the routes to take, I was just a happy follower! This reversal of roles was quite apparent in other things as well that we did over the holidays. I had received this bluetooth speaker in the shape of a shower head, as a free gift with some purchase last year. I have been wanting to use it but kept postponing always citing ‘not enough time’ as the main reason. I mean first I’d have to charge it, then figure out how to work it using bluetooth, then by the time I got around to playing the songs the battery would surely die, so I would have to repeat the same sequence of steps all over again. Too much work for music I say! So today when I happened to find that speaker while cleaning out a wardrobe, I handed them over to my 10-year old. “Oh cool!” came the excited reply. Within seconds the box was ripped apart and the speaker attached to my laptop for charging. Fifteen minutes later my son was lying in the bathtub shaking his head to the beats of the blaring music coming out of this funny looking blue shower head! I couldn’t help but feel like I had aged overnight! What I like about holidays spent at home is the amount of pending work one can clear up without too much thought. Dentist appointments, eye doctor visits, hair cuts, shopping for essentials like school shoes and socks – all covered in a day! It also puts some life back into those forgotten bicycles and scooters that gather dust during term time. Holidays at home also means waking up at leisure and doing things at your own pace, this is one of the reasons I do not like putting the kids for holiday classes, though I was tempted about a local football camp this time. Our typical day starts with a late breakfast, followed by a bit of Maths and English revision – now no Indian mother can resist doing that over a holiday period spent at home! This mental stimulation is followed by a healthy lunch, prepared hastily just like every other chore round the house. It’s amazing how much time goes into finishing daily chores that are always waiting for me around the corner. Cleaning the floor, cooking, laundry, ironing are just the basics one can’t get away from. Afternoon is usually movie or playtime for the boys. Evenings are planned appointments, a movie in the cinema or dining out, just the four of us! adorable jet-black guinea pig actually belongs to the school I work for and just comes home over weekends to spend time with us. This time we got lucky – we got to keep him for this whole week-long holiday! My younger son who is 6 specially adores him. He gives him his food on time, cleans his cage, fills up his little water bottle, and loves to keep him busy. Guinea goes for a ride in a cardboard box which is supposedly the Titanic and which is just about to crash into an iceberg, but miraculously gets saved in the nick of time, by a gently hand who guides him to a life boat! Sometimes he is driven around in his Porsche round the bends and the curves of our house and sometimes he is attacked by a ferocious dinosaur who rattles on his cage, only to be saved by a Super-boy who comes charging at the dinosaur before he can get to our Guinea! Oh yes it’s so much fun to be at home this holiday! 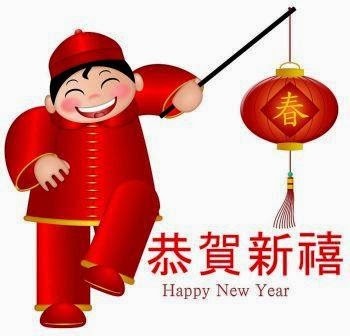 Kung Hei Fat Choy, wish all my dear readers a happy, prosperous and peaceful New Year of the Goat/Sheep/Ram.